Join The Garden Statuary Crew! Being an editor for TGS is a fantastic way to gain experience in the fields of editing and writing, whether your interests be academic or creative (Further bonuses include: commiserating with like-minded people over the proper use of punctuation, lively debates about line-breaks, behind-the-scenes access to our glamorous publishing process, baked goods, and complimentary beer at our launch parties). Editors should be able to commit 30 hours each term to read, select and edit our submissions. Extra time contributed towards the execution of the issues and our launch parties is optional but encouraged (and also lots of fun). We’re looking for students who are dedicated, enthusiastic about writing and editing, and are able to communicate their opinions well. Although we look for literary expertise first, any additional experience working with visual art, music, photography and film is also important. Please also let us know if you have any experience in visual design! 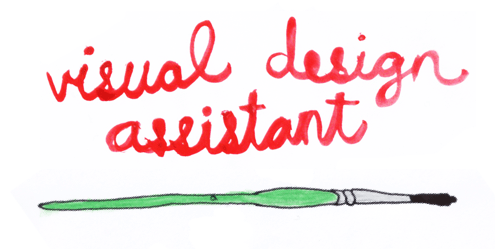 You may want to consider applying as our visual design assistant if you do (see below). Editors can be undergraduate students from any year or department, although we do reserve 2 spots for 2nd and 3rd year students. To apply, please send the completed form below to thegardenstatuary@gmail.com no later than September 27th, midnight. You may also attach a resume if you feel that it strengthens your application or reflects on skills not included in the application form. Your answers can be as short or as long as you’d like and in any form (although we prefer full sentences and paragraphs). 2012-2013 TGS Editor Application form. The visual design assistant will work with Design Manager Sara Shayan and EIC Laura Ritland to help plan the visual layout of our print issues. This is the first year TGS goes into print, so we’d love the extra input and experience! Aside from being dedicated and organized, the ideal candidate should have very strong visual design or illustration skills. Knowledge of Adobe Creative Suite 6 or similar programs is very much appreciated but not required. To apply, please send us a small portfolio of your work (5-8 images) and a short letter describing any prior experience and your reasons for interest in this position. The deadline for applying is September 27th, midnight. Please email: thegardenstatuary@gmail.com.